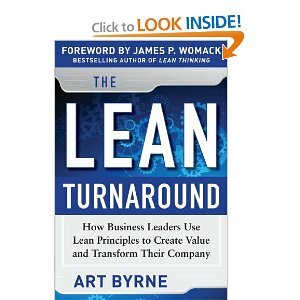 Art Byrne is an execute that has been implementing lean in several companies around the world. He started our with GE and gained experience with Danaher Corp before becoming the CEO of Wiremold where their lean turnaround is featured in the book “Better Thinking, Better Results“. Since leaving Wiremold Art has used lean to turnaround companies as a partner with J.W. Childs Associates. Art brings his vast experience to the readers. Art really drives home the message about a company can only be truly lean if the leaders are setting an example and leading the way. A lean executive does not dictate what others need to go do. A lean executive does it himself. Also, the executives have to transform the people. 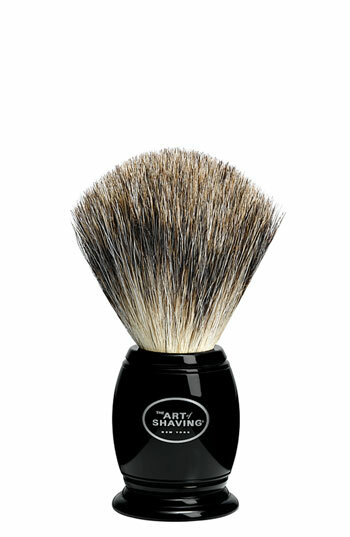 Get everyone to buy-in from the shop floor to the executive suite. There is no room for people that won’t buy-in. In order to do this, as the leader you need to engage in the change and lead it. Not support it. Art does a fantastic job of giving multiple examples of how he engaged employees and led the change even as a CEO. This brings to life how it can be done and the thought isn’t some dream a consultant made up. I really like how Art lays out obstacles to achieving his lean principles. Accounting and standard costing is the biggest obstacle because it can show a negative result or cause bad decisions when doing things that are helping. He then explains the changes that are needed and gives examples of the changes and how the finances would look different. There are more examples of other metrics that Art recommends for a lean company. Another powerful section of the book is how he used lean to grow businesses and profits even during tough economic times. Art even lays out a strategy for looking at companies when thinking about acquisitions. The real life examples as a CEO and board member of companies really drives how a lean turnaround can be achieved. A CEO must do a 180 from the traditional methods to do it and a leap of faith will be needed, but the reward is very high. I recommend this book for anyone but especially high level level executive or CEO. Art lays out a great game plan and a compelling case for the executives to transform their work and create a lean turnaround. Read the book straight through and then re-read it as you develop a plan to change your company. I would also recommend it for more Wallstreet and finance people. It would enlighten them on how to look at companies that deliver long term value to their customers. Not just short term gains. Are politics eating away at the ability of businesses to be competitive? I don’t mean capital P Politics and elections, just cultural office politics. I wonder if we have gotten so good in so many cases at “controlling our message” within our walls that we lack the ability to discuss what our true Current State really is. So much of the Lean philosophy and toolkit is built around either highlighting the gap between the current state and the ideal state or following a process to move closer to the ideal state from the current state. These are only effective if you’re willing to talk about your true current state. I don’t know of many businesses that are willing to have these conversations. In many cases, the ability to interpret what is happening in the most palatable way possible far outweighs the ability to identify what is really happening. The narratives that are created have become the currency that keeps the operation rolling and keeps everyone happy. Here’s the thing about ‘messaging’…it rarely stops. The people delivering become incentivized to keep the message on the same path for risk of losing credibility, job security, or recognition. The people receiving want to believe the message, if for no other reason than it seems pretty silly to reject the communication of the people you are trusting to keep you up to date. I guess what I’m getting at is that sometimes the reality of our cultures gets in the way of doing the right thing. It doesn’t mean that people are intentionally doing the wrong thing, just that it’s not always clear how to get people aligned and rowing in the same direction. Use what you have at your disposal and make a difference. I have not been very high on GE as a company. I have dealt with too many command-and-control managers that came from GE and Jack Welch I think is the single most overrated CEO in history. He destroyed GE’s manufacturing to gain his golden parachute. It has taken awhile but GE seems to be making strides in a great direction. A year or so ago, GE announced the building of a manufacturing complex in Louisville, KY dedicated to building their appliance lines using lean manufacturing. An article last week highlighted some of the reasons and the results from the first venture in GE’s new dishwasher plant. My favorite heading in the article is “Washing Away Decades of Outdated Manufacturing Practices”. AMEN!!! So what did GE hope to accomplish by investing $150 million in the new facility? When planning to make GE’s newest dishwashers, the manufacturing leaders had several challenges: to build new production lines in a space-constrained factory where existing lines would keep providing about one in every five homes with a dishwasher; to create a process that would leverage Lean manufacturing principles to reduce the time it takes to make each dishwasher; to reduce operational costs and unnecessary work for employees to improve productivity while increasing quality. They needed to reduce cost and delivery time and increase quality. Something lean can help improve all of. Not one while sacrificing others. How was lean going to help? Relying on a new culture of continuous improvement and a collaborative work environment, fostered by Lean manufacturing principles, GE took employees from every discipline needed to design, build and operate the new lines and co-located them in one location so communication could be instantaneous and fluid. Each member of the team had a voice and a role–from engineering, to advanced manufacturing to the operators who assemble the products – all were on one team with a common goal – to improve the processes and products. Great ideas and they seem to be working very well. The results listed in the article are incredible. Here are just one bullet point listed as a result. Included production workers in the designing of work stations and processes, improving efficiency and ergonomics by reducing parts inventories and movements to complete tasks; in developing new job instructions to help eliminate quality issues and improve safety; and in improving the timely supply of parts to work stations. As a result, the overall production time per unit was reduced by about 65 percent. Great to see the employees doing the work involved in the improvement process. With all the great results this is what I was the most happy to read. It shows that manufacturing close to the consumer in a “high cost” country can be competitive in any industry. Kudos to GE for attempting to change their manufacturing ways.